"A headline-grabbing 1991 Chevy Silverado that's traveled more than 1 million miles -- all powered by its original Flint-made V-8 engine -- will soon be for sale on eBay. 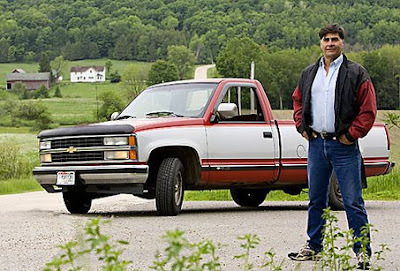 "Current owner Frank Oresnik of Catawba, Wis., hopes an auto collector is interested in preserving the durable pickup truck as an example of American manufacturing quality -- something he says he can't afford to do. The minimum bid is $30,000. "The engine was built at the former Flint V-8 Engine Plant off Van Slyke Road, which ceased production in 1999 and was demolished in 2000."